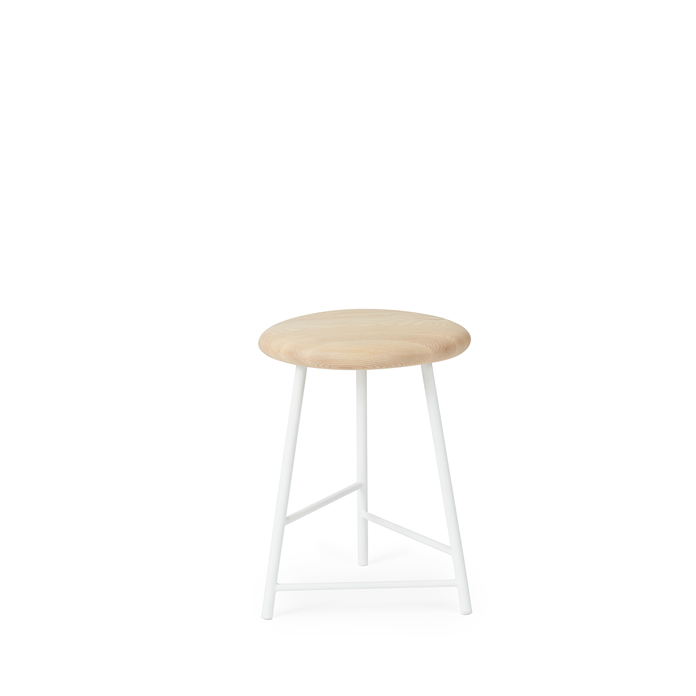 Light stools and bar stools with organically shaped seats made of solid wood and with a strong attention to detail. With its well-conceived shape and wonderful finish, Pebble’s seat beckons you to touch it and is testament to a proud Scandinavian tradition of top-quality craftsmanship. Pebble comes in three heights so that they can be used for both a quick cup of coffee by the kitchen table, drinks and snacks by the bar and extra seating by the dining table. The design of the Pebble stool and bar stool is inspired by pebbles found on the beach, which even after centuries of grinding by the ocean are still not quite round. In the same way, the seats on Pebble are slightly asymmetrical and organic, which releases the beauty of the wood. Choose between three heights, metal frames in several classic colours and exclusive types of wood with exquisite finish. 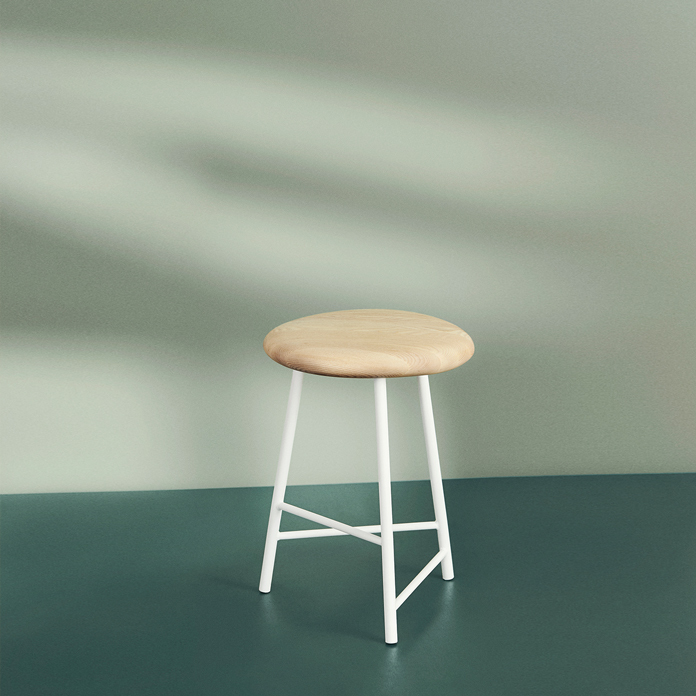 Welling/Ludvik is behind the pure Scandinavian design and has with the Pebble stool and bar stool attempted to create a piece of seating furniture in its purest form with an honest material choice and design. Pebble is inspired by nature and the love of wood is clearly revealed in the organic design.